Retirement is a huge milestone. Reaching it is a cause for celebration. In fact, for many retirees, the rest of their lives will be one big celebration. Yet, for far too many, one of the six common retirement mistakes we’re about to cover will cut things short, perhaps indefinitely. Learn about them now so you don’t become a victim of them later. Hopefully, leading up to your retirement, you had a plan for making sure you’d have enough money. We’ll talk about the importance of using retirement plan services later, but let’s just say you set aside enough. Time to let loose, right? By all means, enjoy yourself, but keep to your retirement plan. Unfortunately, a lot of people spend way too much during retirement. While we would never fault someone for getting excited about their Golden Years, when this leads to overspending during retirement, it becomes a serious problem. Stick to your retirement plan. You spent years coming up with it for a reason. If your needs have changed, you can still make money during retirement. If you’re married with two cars, you may only need one of them once you retire. Give this some thought because keeping a second car is expensive. Even if you are more than capable of affording it, there’s no point in depleting your retirement savings unnecessarily. Many people move once they retire. Some people even pick up and head to another country altogether. If this was part of your retirement plan all along, you should have spent ample time researching your options. This would have involved numerous trips to make sure you’d be happy in your new zip code. Unfortunately, many people commit one of the all-time worst retirement mistakes by simply assuming they’d be happy in sunny Florida, near the beautiful Rocky Mountains in Colorado, or some other picturesque place they’ve been to once or twice. Their retirement savings take a hit during the move, but things get much worse when they later realize this new postcard destination isn’t all they were hoping for. They end up moving right back, which takes a serious toll on their retirement savings and may also involve buying a home out of necessity, instead of one they truly love. Never make this kind of rash decision until you’ve dedicated years to researching it. This isn’t to say you can’t begin the process after you retire. However, you need to consider things like the cost of living, what you’ll do to fill your time on a daily basis, taxes, the weather (not just when it’s nice to visit), etc. A lot of times, you’d be better off buying into a timeshare than actually committing to a new place to live full-time. Along the same lines, you may simply wish to downsize because you don’t need such a big house anymore. Although it’s nearly impossible to predict the market, you want to avoid selling your home when it’s down. Even if you have long planned to move somewhere else, it might make more sense to rent out your home until conditions are more favorable. Otherwise, you risk missing out on a larger profit or even losing money. No matter how impressive your retirement savings are, it’s human nature to want to grow it even more. Scammers all over the world understand this and have refined their tactics to target retirees, specifically. Unless you can speak to your new employer, look up their credentials and completely understand the opportunity, walk away. Unrealistic investment opportunities: You know the old saying about something that’s too good to be true. As with the above, if you’re offered any kind of investment opportunity, do your research first. Even then, if the opportunity promises too much for too little, ignore it. Phishing: While this type of scam may not be an offer to increase your retirement savings, it’s similar. You’ll get an email or phone call from someone at “your bank” or even the government. It turns out your savings are in jeopardy. Fortunately, all they need is some of your identifying information (bank account number, social security number, etc.) and they can set things right. You hand this information over and…you never hear from them again. If this ever happens, ask them to email you and say you’ll comply that way. If it’s not from your bank, a government agency, etc., you know it’s false. Anyone calling with this kind of business would also go out of their way to prove their credentials. The worst part about these retirement mistakes is that they’re often made by people with the best of intentions. They just want a bit more for their retirement or to keep what’s rightfully theirs. Sadly, the consequence of a single error in judgment could cost you your entire retirement savings. Ideally, you should have secured the services of a retirement professional long ago. They would have helped you with everything from setting a goal to putting enough money aside and much more. That being said, it’s never too late to use professional retirement plan services. 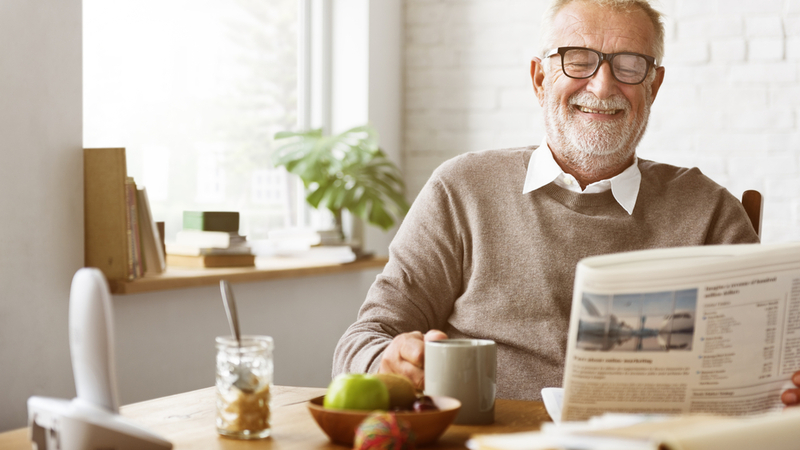 Your financial advisor can help you avoid the retirement mistakes we outlined above and keep an eye out for future challenges. At Mooney Lyons, we love helping people with retirement. Whether it’s preparing for it or making the most of their Golden Years, our goal is ensuring a plan for this important stage for our clients. If you’d like help avoiding these common retirement mistakes or anything else, contact us today.